Before we put 2018 on the shelf, we wanted to remind you of some initiatives we were particularly proud to launch -- and that will surely gather steam in the coming year. From additional big-hearted resources to our new Just Be Kind program, DGT continued to bring kindness and giving to life this past year. To stay updated, follow us on Facebook, Instagram, and Pinterest. My best wishes to each of you for a joyous, compassion-filled 2019! At DGT, we keep hatching new ways to make kindness a habit in your family. These are some from the past year. Just Be Kind: Our new empathy-building lessons are designed to empower students to lead their families in service and big-hearted conversations. They are perfect for after-school clubs, scout troops, and faith-based student groups. Festival of Giving: This first-ever event was so successful, we're planning another for September 2019. It drew over 400 Twin Citians to Nicollet Island in Minneapolis to do service projects, watch multicultural dance groups, play kindness games, and contribute to an art installation. All to encourage generosity, community involvement, and caring for others. 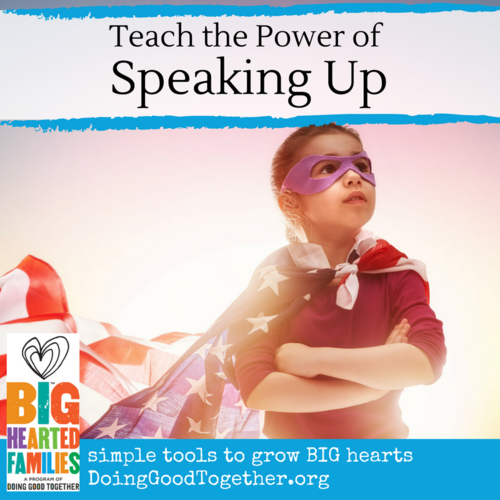 Read more in this Star Tribune article: Doing Good Together's Festival of Giving: A new tool for "Big-Hearted Parenting." More expansion: DGT curates free monthly listings of family volunteer activities in key U.S. cities, and we recently added California's Oakland/East Bay. Also in California, we started offering workshops, service events, and partnerships in Silicon Valley. Anyone interested in our work there should contact our Silicon Valley Director, Ashley. Our best blogs + newsletters: Our most popular postings in 2018: our blogger's reflections on Family Rituals, on Peace, and on Raising Good Guys. For research-based information on critical child-rearing topics, these newsletter articles were a hit: Biased Babies: Start Early to Educate About Diversity, A Parent's Wishlist for Raising Caring Kids, and 6 Myths to Help Your Child Understand and Bust. Our three new activity-based ebooks will encourage simple actions and meaningful conversations in your family: Host a Mini DGT Family Service Fair for National Night Out; Be an UPstander: Anti-Bullying Activities for Big-Hearted Families; and Explore Nature: Creative Compassionate Activities for Big-Hearted Families. Check out our growing number of booklists! 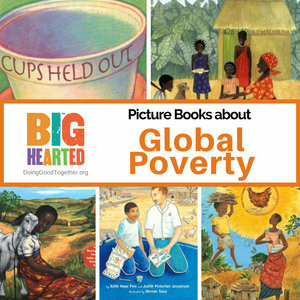 New this year: Picture Books for Animal Lovers, Chapter Books for Animal Lovers, Picture Books about Global Poverty, and Picture Books for Peace Makers. Need more kindness-promoting book ideas? Here's our complete list. ""Be a little kinder than you have to."